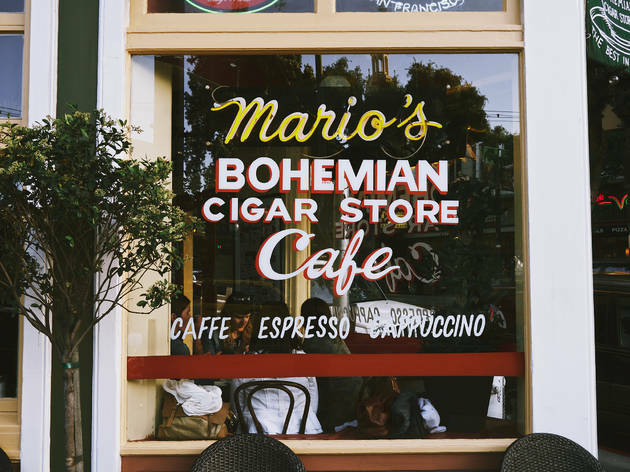 Despite the fact that you can't buy a cigar at Mario's (or smoke one), you shouldn't miss this classic North Beach café, which drips with as much atmosphere as its fabulous oven-baked meatball focaccia sandwiches. 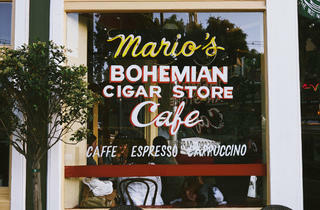 Wedged like a slice of pie onto a prominent corner in North Beach overlooking Washington Square Park, it's the perfect perch to sip an Italian soda or a cappuccino and watch the world go by. Bus 8BX, 8X, 30, 39, 41, 45, 91/cable car Powell-Mason.